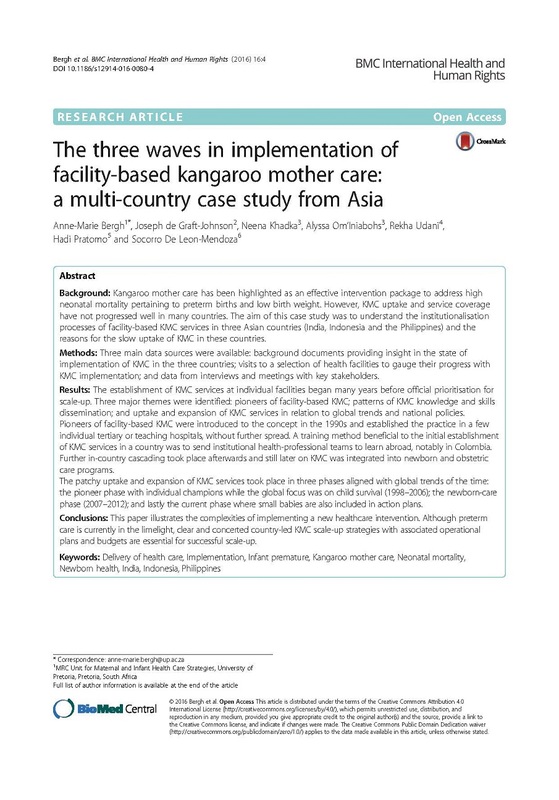 This case study examines the institutionalization processes of facility-based kangaroo mother care (KMC) services in three Asian countries (India, Indonesia and the Philippines) as well as the reasons for the slow uptake of KMC in these countries. This paper illustrates the complexities of implementing a new healthcare intervention. Although preterm care is currently in the limelight, clear and concerted country-led KMC scale-up strategies with associated operational plans and budgets are essential for successful scale-up.